In 1318, Juran and Milica Pogančić built a monastery for Benedictine nuns and a church in honour of St. Margherita, virgin and martyr, northeast of the big church in the old town of Pag. 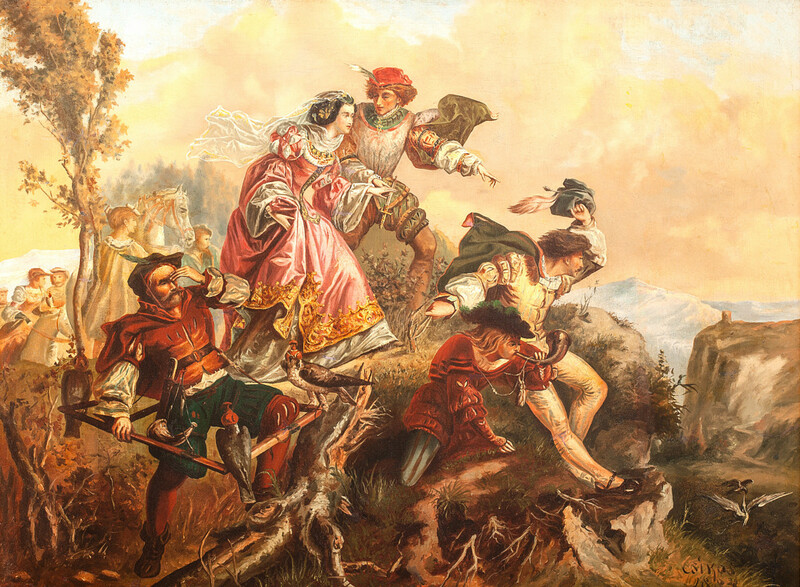 In the mid-15th century, the Turkish threat was growing, so that the people of Pag began to build a new town on 18 May 1443, at the very location where it stands today. 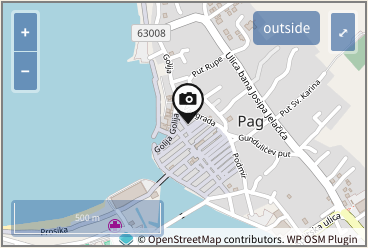 On 18 September 1474, in a solemn procession led by the local town mayor, the people of Pag relocated to the new town. The year 1483 saw the completion of the Benedictine monastery and church in the new town of Pag. The church was dedicated to the Annunciation of Our Lady, and the monastery to St. Margherita, virgin and martyr, in memory of the monastery and church in the old town of Pag. 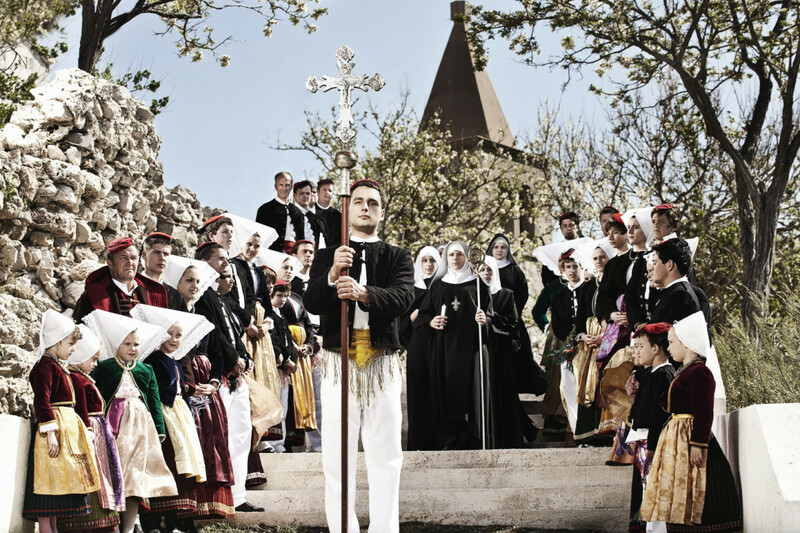 Life in the Benedictine monastery of St. Margherita in Pag has always been exemplary. From 1579, the nuns developed very rich and diverse activities, especially in education for girls. The Benedictines taught lace-making and sold lace in Venice and subsequently in Austria. They were to thank that the art of lace making took root in the town of Pag and became an important source of income for many islanders and their families. The main altar was constructed in the late 18th century, as well as the chapel of St. Benedict and in it the marble altar of Our Lady of Mercy of the Mišolić family; the tomb of the Mišolić family had been built in the 15th century. The monastery preserves valuable items of decorative and fine arts. The most important is the Holy Thorn Reliquary from 1435. Sculptures include a number of statues of the Mother of God and wooden crucifixes. Of the latter, the crucifix in the chapel of Our Lady of Mercy from the 14th century is quite remarkable. The statue of Our Lady of Mercy was made in 1626. Throughout their long history, the Benedictine nuns of Pag prayed and worked with the people of the town of Pag and the archdiocese of Zadar. They guarded the inherited holy items, promoting Christian, Benedictine values ​​and Croatian culture. The Benedictines taught lace making and are credited for bringing lace making to the town of Pag, and today, lace making is listed by UNESCO’s as intangible cultural heritage. Famous and protected original Croatian products include baškotin, koludraška štrika and kolacić prepared by the nuns of St. Margherita according to recipes more than 300 years old. They are quite original and have specific taste resulting from the recipes which the Benedictine nuns of Pag used in the days of old and which they are still using today. 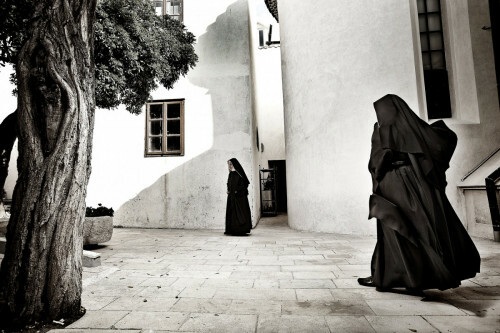 Today, the nuns live the principle of St. Benedict: Pray and work. Eight nuns moved from the old to the new town of Pag on 13 April 1485, in a solemn procession to the monastery where nuns live even today. The community of the Benedictine nuns has existed in Pag since 1318 continuously. 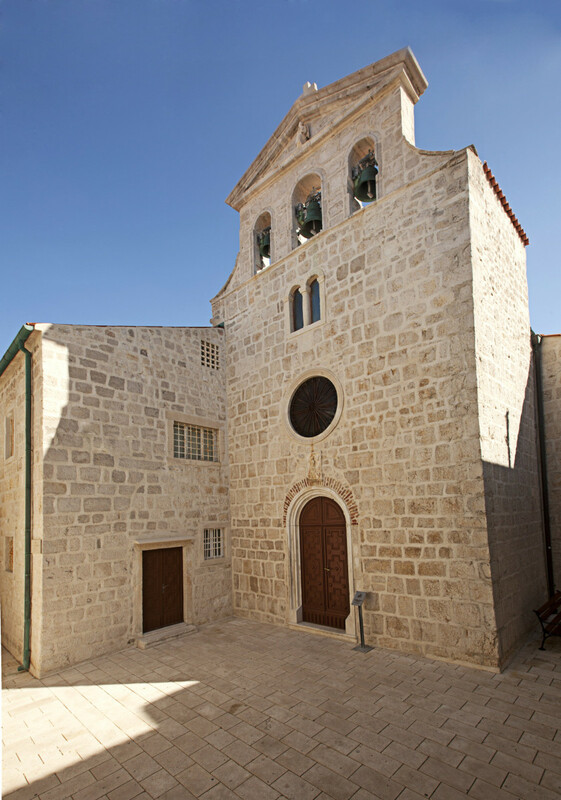 The first monastery and church in the old town of Pag, dedicated to St. Margherita, virgin and martyr, which had been donated by Juran and Milica Pogančić, were entered by three nuns, and all three of them were named Mary.